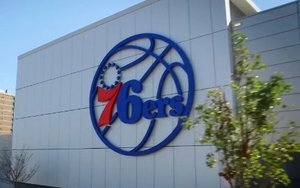 In what is the first of what will likely be a cascade of announcements in the coming years, The Philadelphia 76ers basketball team is getting into the eSports business. The basketball franchise has taken controlling stakes in two eSports teams — Team Dignities and Team Apex — and combining them into one powerhouse team, employing the former’s popular League of Legends team with the expertise and experience of the 13-year-old Dignitas team. The combined teams will operate under the Team Dignitas banner. The deal marks the first time a franchise group from the traditional sporting world has acquired an eSports team. Included among those resources are branding and other marketing, as well as training and preparation for competitive matches (such as hydration and nutritional knowledge), O’Neil says. “However, we have quite a bit to learn as well,” he says. The new opportunity also doesn’t threaten to cannibalize the team’s current ventures (or those of sister organization The New Jersey Devils NHL franchise), as there isn’t a whole lot of overlap, O’Neil says. On the other side of the equation, the two merged teams now gain access to knowledge and experience of a franchise navigating a large professional sports league, says Greg Richardson, who is the chairman of Team Dignitas. “Both teams want to be successful, and as the competition and investment increases, the 76ers bring the knowledge and experience of creating a championship team,” he says. ESports has become a huge growth area for brands looking to be cutting edge, and finding new sponsorship opportunities. Brands such as General Mills, Mountain Dew, Turtle Wax and several others have begun sponsoring eSports teams and leagues in recent months.